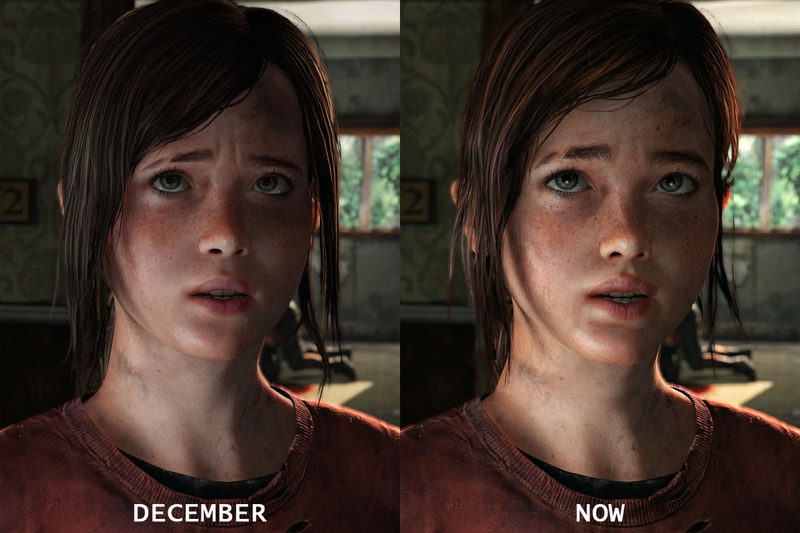 Earlier this week there was a new trailer released for Naughty Dog’s upcoming survival adventure game The Last of Us, In which some of you might have noticed a small change to Ellie’s character model. Check out the image below and see for yourself. Naughty Dog told IGN that it was a decision made by the team so the the character would better reflect the actress Ashley Johnson’s personality, while also better reflecting a younger teen more fitting to the story. Another thing I spotted was that the characters hair appears to have been moved back slightly, allowing more of the face to be seen. This lead me to wonder if they decided that moving the hair further back would allow people to see the facial expressions with more clarity, though Naughty Dog made no mention of anything of the sort. The Last of Us is expected to make an appearance at E3 next month with the worldwide debut gameplay trailer that many fans have been waiting on, so you can definitely put this on the list of things making Gaming Enthusiast giddy for E3.